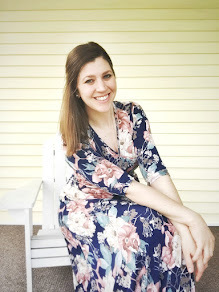 Over at Marie's: Knock Knock - Who's There? Barn Door! Hey guys! 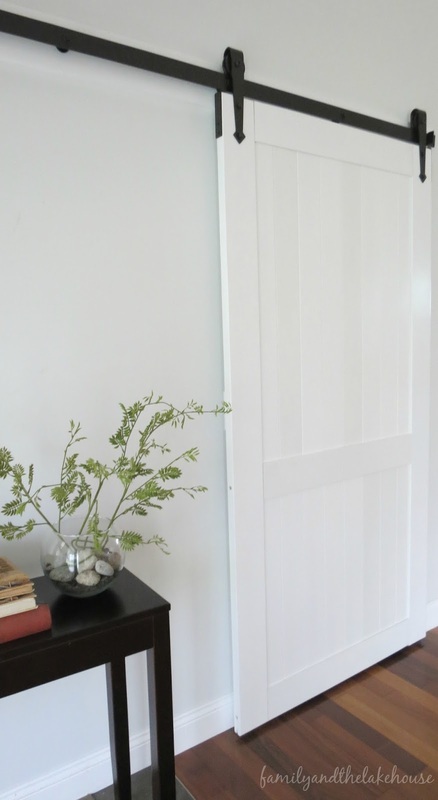 I'm here today to share with you our new barn door! If you follow me over on IG, then you know by now that I won this amazing barn door by entering a contest hosted by A House and A Dog. I remember showing Jon my Instagram entry and telling him about how much I wanted to win this door - something I don't normally do when entering online contests. I wanted this thing and I wanted it baaaaaad! A few days later, while checking out at Home Depot, of all places, I happened to glance down at my phone and saw lots of messages containing the word "congrats." Oh, my gosh, oh my gosh, oh my gosh!! Had I won the door?! We hightailed it out of there, don't worry - we paid first ;), I checked my messages and wouldn't you know it, I won the barn door! It felt like Christmas all over again! Oh. EM. Geeeeeeeee! I was pumped. Jon was pumped...and the kids...well, I may have scared them with my over abundance of joy. 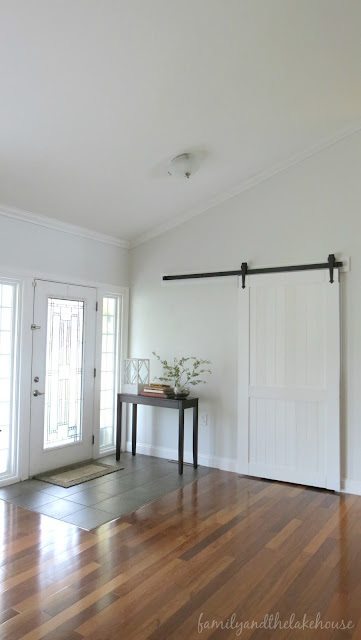 Anyhoo, thanks to Rustica Hardware and A House and A Dog, we are now proud owners of this lovely barn door! Now I just need to figure out if I want a design in the bottom portion, an "X" or a "Z," and I need to research what kind of handle we should get. Suggestions? What do you think? Winning this piece of happiness has also made me home in on our entryway. That lonely light fixture, the blank wall, the lack of decor... Yeah, I think we need to add a bit more pizzazz to the area. Oh and just for fun, here's what it looked like before the install. Check out my fun sunburst cedar shim mirror! Guess I'll need to find a new place for that diy project! OMG that is soooooo awesome you won that!! It looks amazing in your house!!!! 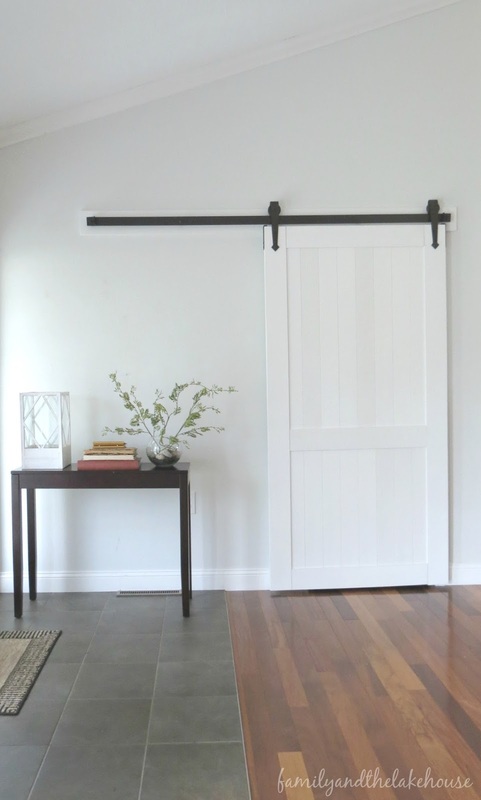 Now I want a barn door! That door is incredible!! 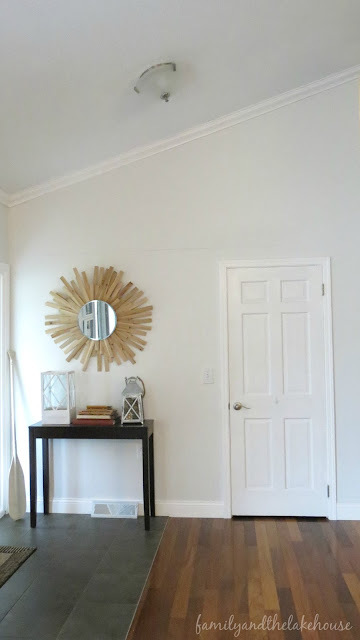 It makes SUCH a huge difference in the entire look of the room! I want one now!!!! !